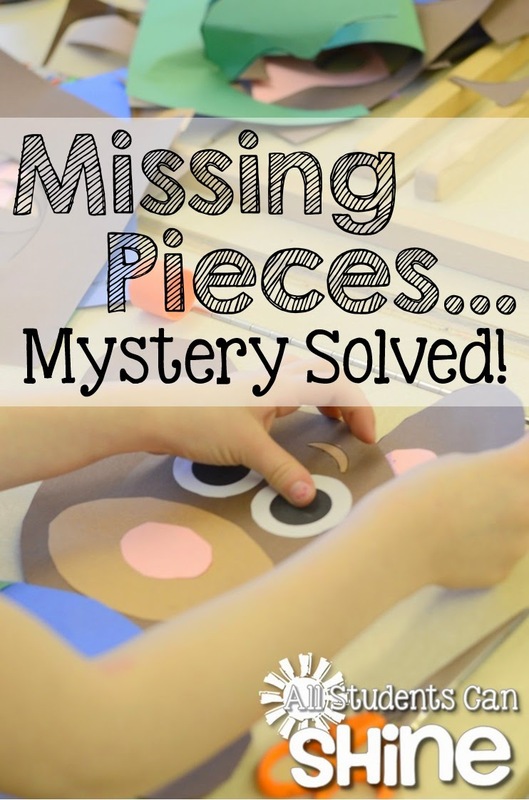 Missing Pieces - Mystery Solved! I'm here to share a little tip with you today! As you may already know, I love making crafts with my class. I just love how they motivate my students to write great stories. 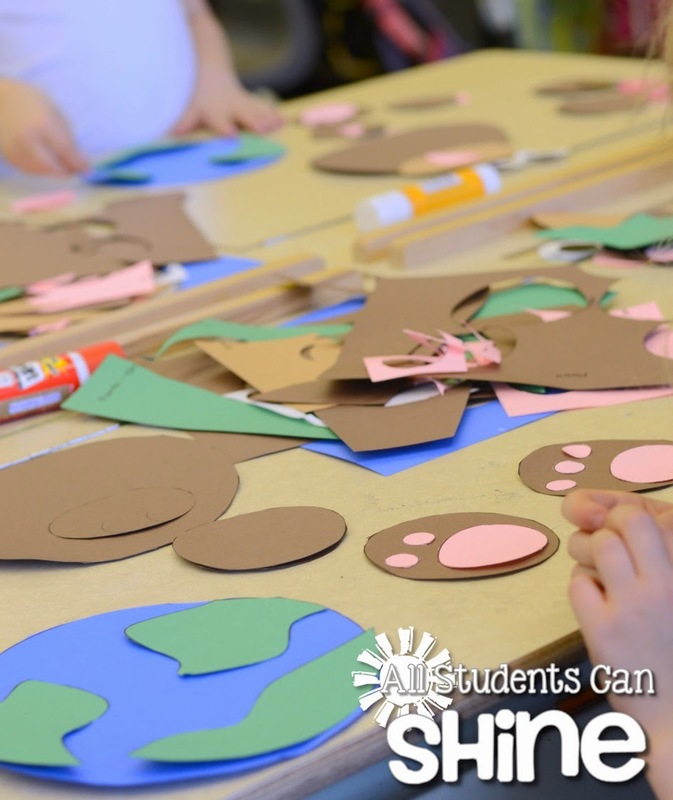 They are a great way to spark their imagination! 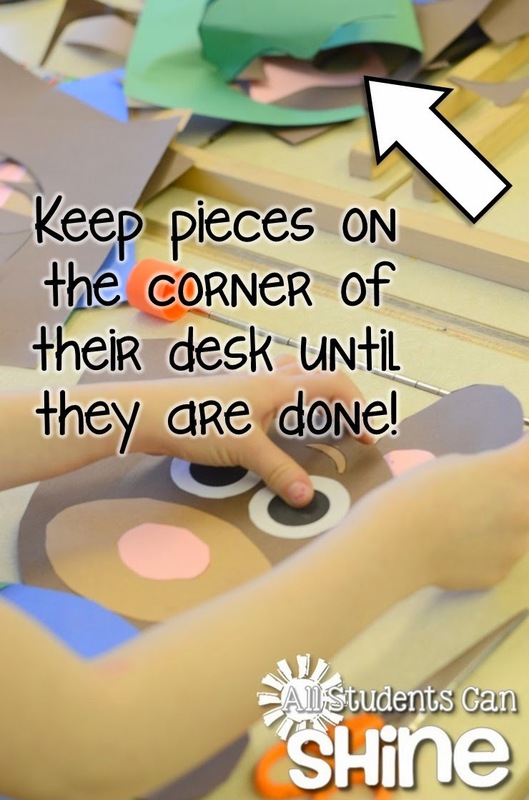 I do, however, have ONE rule when it comes to crafts in my class. Well no more, my friends! No more! NEW RULE: My students are NOT allowed to throw away ANY of their scraps until their craft is completely finished! I just don't have the time to run to the photocopy room in the middle of our craft time to make my kids more arms, feet, or whatever may have "disappeared". the "NO recycling until you're done" rule! HA! What do they do with all those scraps during the crafting process? Simple. They keep them on the corner of their desk. Some of my students like to work standing up, so they use their chair for their scraps. Whatever works. I'm not picky. 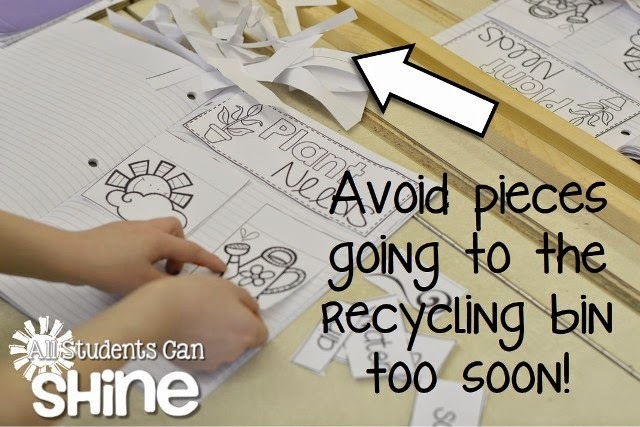 I also use this rule when we work in our interactive notebooks, when we do "cut & paste" activities, and whatever other activities consist of cutting and gluing! So there you have it. A simple trick. Great idea! This is so logical, I can't believe I never thought of that before! Yes, it is so annoying when bits go missing. I know I have told to students to look on the floor. Of course, they can't see anything but when I look~ voila there they are. Funny about that.